This quilt-along features two color ways for the Rainbow Star pattern. 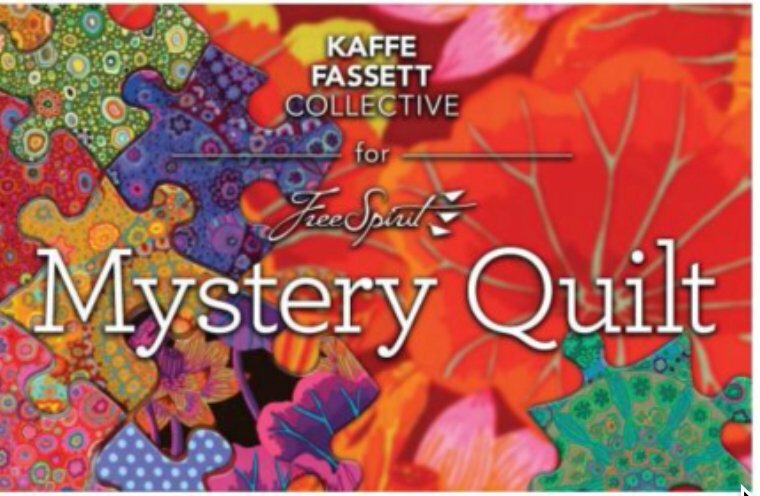 The quilts are designed by Kaffe Fassett and Liza Lucy and the pattern is perfect for all skill levels. The focus is on color harmony and placement. Finished size is 78" x 78". The complete fabric packs (More than 9.5 yards) will be shipped in May 2019 and the quilt-along will begin with the first pattern release on June 3rd and end with the last release on July 15th. There is an initial enrollment fee of $10 and another payment of $94.99 due when fabrics are ready to ship. This price includes postage to all US destinations. Shipping to Canada is an additional $18 and overseas addresses are anadditional $26. Bonus treats includes an exclusive Kaffe Quilt Along reusable tote and exclusive fabric quilt label for each sign up.